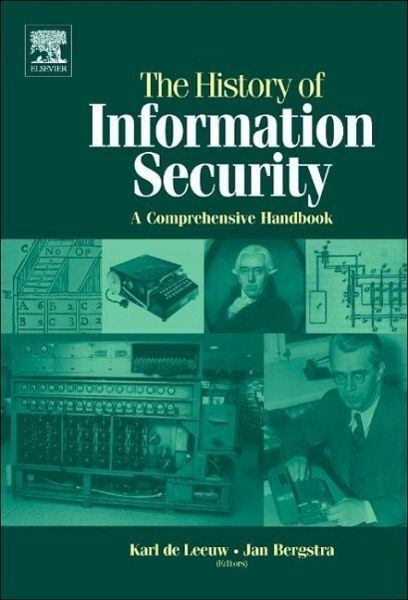 Information Security is usually achieved through a mix of technical, organizational and legal measures. These may include the application of cryptography, the hierarchical modeling of organizations in order to assure confidentiality, or the distribution of accountability and responsibility by law, among interested parties. 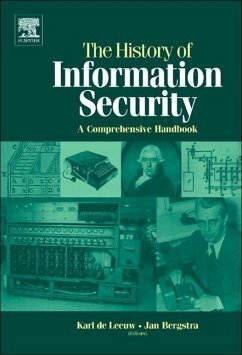 The history of Information Security reaches back to ancient times and starts with the emergence of bureaucracy in administration and warfare. Some aspects, such as the interception of encrypted messages during World War II, have attracted huge attention, whereas other aspects have remained largely uncovered. There has never been any effort to write a comprehensive history. This is most unfortunate, because Information Security should be perceived as a set of communicating vessels, where technical innovations can make existing legal or organisational frame-works obsolete and a breakdown of political authority may cause an exclusive reliance on technical means. This book is intended as a first field-survey. It consists of twenty-eight contributions, written by experts in such diverse fields as computer science, law, or history and political science, dealing with episodes, organisations and technical developments that may considered to be exemplary or have played a key role in the development of this field. These include: the emergence of cryptology as a discipline during the Renaissance, the Black Chambers in 18th century Europe, the breaking of German military codes during World War II, the histories of the NSA and its Soviet counterparts and contemporary cryptology. Other subjects are: computer security standards, viruses and worms on the Internet, computer transparency and free software, computer crime, export regulations for encryption software and the privacy debate. Karl de Leeuw has been engaged as a lecturer in Information Security at the University of Amsterdam and as an editor of sources about the history and philosophy of mathematics at the University of Utrecht. He has written his Ph. D about the history of cryptology in the Netherlands and has published extensively about this subject in scholarly journals in the U.S. and the U.K. His current research interests include the philosophy and history of science amp; technology, the history of computer science, and intelligence history; Jan Bergstra is a full professor in Computer Science at the University of Amsterdam. He is a logician by training and has a wide scope of interests.